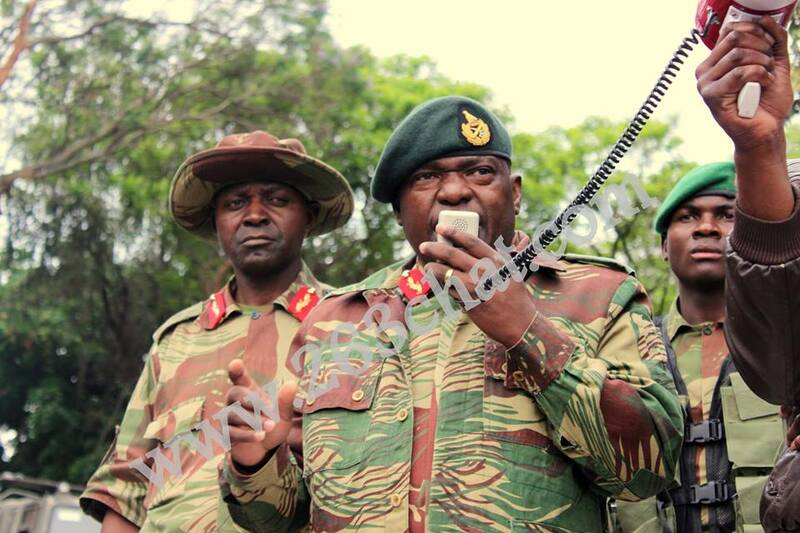 For one shining moment in November the Zimbabwean army was our hero. People poured out into the streets to march against a leader who, though once loved, had with time become a tyrant. For the first time in decades, they depended on the army to protect them – to March alongside them. For one brief blink of an eye moment, we set aside our memories of fear and guns and never-knowing-what-is-coming-next and made the army a friend of the people. But the army’s moment as the people’s hero was short-lived. Heroism in a confusing term in Zimbabwe; perhaps it is because our Heroes Day sits right next to Defence Forces Day on the calendar, or perhaps it is because the original holiday was set aside in the aftermath of war. Whatever the reason, it is clear to all that Heroes Day in Zimbabwe only recognizes those heroes who have been active in the armed struggle and/or politics. Our version of Heroes Day should probably have a different name in order to help us and those who come after us to manage our expectations. A hero by definition is “one who is admired for their courage, outstanding achievements or noble qualities.” I take that to mean that until the recognition is given, the hero status is not a certainty. And that would then explain where we find ourselves in Zimbabwe. Until our heroes are labelled as such, their achievements remain unremarked upon, their courage unrecognized and their qualities un-admired. The liberation war in Zimbabwe was a monumental milestone, and overcoming the heinous evil of colonization is something which needs to be remembered and indeed celebrated for hundreds of years to come. I am all in favor of that. No one who did not fight in a war with guns and bullets and death all around them can understand the horror and the sacrifice. We can only imagine. Let me take the liberty then, of recognizing and admiring some of the heroes of the latter day struggle. These heroes are in themselves armies of individuals who daily take up arms in the fight for survival in Zimbabwe. First, there are the nurses. I am not sure if we all recognize the incredible role nurses play in the health system. There are thousands of nurses in Zimbabwe who have eschewed the opportunity to work overseas for better pay and more recognition, choosing instead to stay in Zimbabwe; to serve in a system that doesn’t serve them well. They are often overlooked, many times sidelined in favor of the more prestigious doctors and specialists, and yet in fact these are the people that keep an ailing system moving. And so to our army of nurses – I salute you. Then there are the entrepreneurs. I am not referring here of the exceptions or the high flyers – your Strive Masiyiwas and your Divine Ndlukulas. I am celebrating the millions of ordinary Zimbabweans who, when they have seen an opportunity in a broken system, have stepped forwarded, risked it all and said, “Let me try…” Many have found themselves, their families and their dreams broken at the feet of a dodgy economy and a series of unsympathetic and in fact punitive policies. I went through a season where I called Zimbabwe a graveyard of dreams. I don’t call it that anymore, because in a graveyard, no one comes back to life. Yet Zimbabwean entrepreneurs keep coming back. They get knocked down again and again and again and they still try. Again. And then there is the army of young people in Zimbabwe who are longing for a chance at leadership. They have come of age at a time when there was no clear direction and there were more voices saying “It can’t” than those saying “Yes we can” and yet they have still made it their business to rise. They have watched their peers – the likes of Fadzayi Mahere and Evan Mawarire, shape the conversations of the nation, take significant abuse in all forms and still keep going; and they have been inspired to step forward and say “Here I am. Send me.” Because that’s what leaders do. And finally, I do just want to mention the army of people who make memes. Yes, you read it right. If you think of humor as a form of therapy for difficult times and a means of relieving stress in seasons of uncertainty, you can’t help but be grateful to the army of individuals (there must be hundreds of thousands of them) who keeps us giggling into our WhatsApp feeds, even as we recognize that our country is burning. It is not that we are not aware or concerned, it is simply that even in the darkest darkness, and you need some light relief. So, all you meme-makers out there, we salute even you. Zimbabwe’s ‘new dispensation’ that never was!